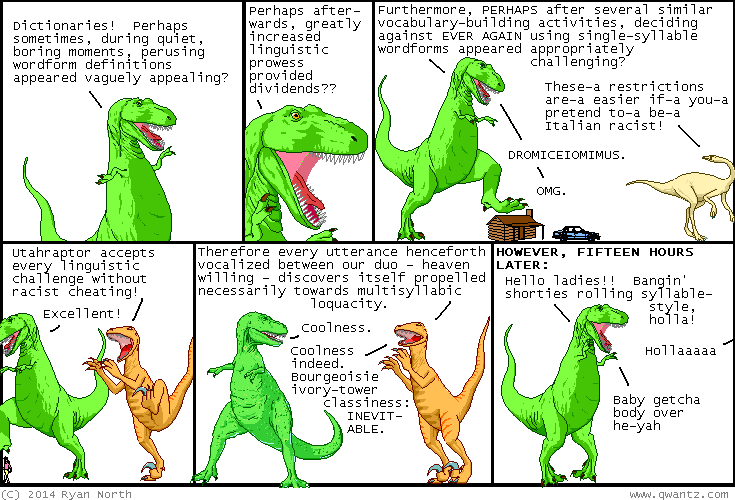 Dinosaur Comics - January 8th, 2014 - awesome fun times! –I forgot about my dentist's appointment! January 8th, 2014: This comic is a spiritual sequel to this comic from 2007! Only with MORE SYLLABLES. One year ago today: hello ladies my name is ryan north and i am a writer, you may know me from my phrase "weird veiny eyeballs"